Headlines, hot news, and conversation starters on July 24, 2017! 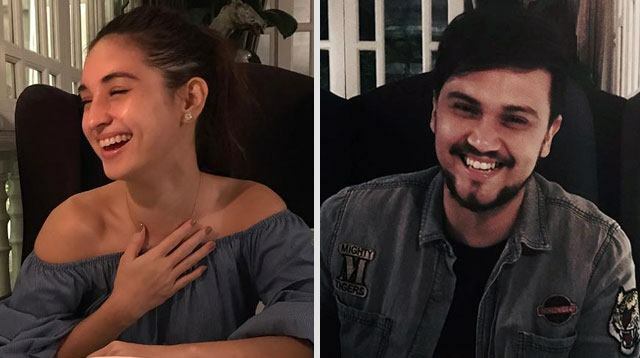 1 Coleen Garcia and Billy Crawford spent a weekend in Batangas to celebrate their last anniversary as boyfriend and girlfriend because the two will be tying the knot soon! And had a romantic dinner at Antonio's. 2 Georgina Wilson, Martine Cajucom, and Jess Wilson are vacationing in China, and it's hitting us with major FOMO. 3 At this year's San Diego Comic-Con, fans got a first look at Brie Larson's Captain Marvel costume, and it's the epitome of badass! ICYDK, this will be Marvel's first female-helmed movie! 4 Our girl Selena Gomez rang in her 25th birthday with close family and friends. It's been a wonderful year for Sel so far (personally and professionally) and it's truly deserved. 5 Forbes' Under 30 Summit Asia is on July 25, and this year's lineup of featured participants is amazing! The summit will bring together around 250 game-changers from all over the world and it will be held at the Solaire Resort and Casino. The Forbes Under 30 Summit Asia will hold a series of panel discussions themed "Leading Innovation Across Asia" and "Changing Asia." Please visit www.forbesunder30summitasia.com for a complete list of the speakers and participants. On social media, please follow #Under30Summit.